Three interlocking worlds; four people looking for answers. In the basement of a professor's house in 1960s Oxford, 15-year-old Rosie goes in search of a missing cat, and instead finds herself in a different world. Anterwold is a sunny land of storytellers, prophecies, and ritual. But is it real? And what happens if she decides to stay? Meanwhile, a rebellious scientist is trying to prove that time does not even exist—with potentially devastating consequences. 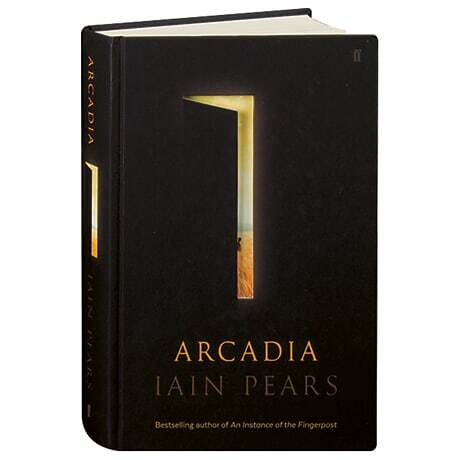 This captivating adventure from the author of An Instance of the Fingerpost, The Dream of Scipio, and Stone's Fall is presented with a die-cut cover image of a cracked door, revealing a peek of the golden world depicted on the endpapers.